We'll Remove Your Unwanted Car! We remove your unwanted cars/car bodies for a minimal fee. Service is available in Hobart with surrounding suburbs and Southern Tasmania. Contact Dan today on 0424 676 964 for a quote or use the contact form. 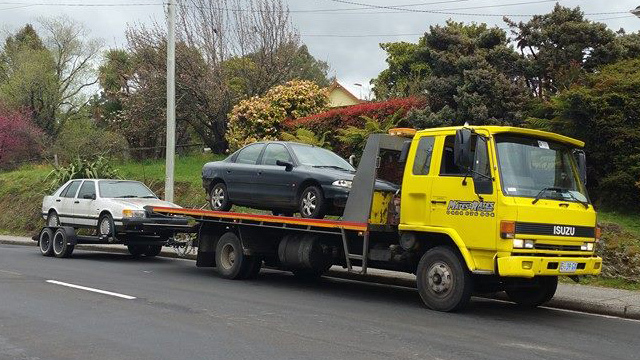 Mates Rates Towing Hobart offer towing services for cars, 4x4s, forklifts, job site equipment and pallets in Hobart, surrounding areas and statewide. Hobart Web Design By BROKENIMAGE.